VIVE DELUXE AUDIO STRAP Easy-to-use size adjustment dial and hard-sided construction Integrated on-ear headphones with height and angle adjustment Improved weight distribution and cable management COMFORT AND CONVENIENCE The VIVE Deluxe Audio Strap features an adjustment dial in back that makes it a cinch to switch the headset between players. Comfort padding and improved weight distribution ensure comfort while wearing the headset during immersive gameplay. INTEGRATED AUDIO Audio is essential in bringing an immersive virtual reality experience to life. 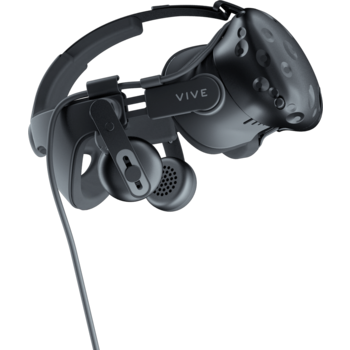 The VIVE Deluxe Audio Strap comes with integrated on-ear headphones that provide a more convenient experience in virtual reality. The headphones offer height and angle adjustment to make putting on and taking off the headset easier. 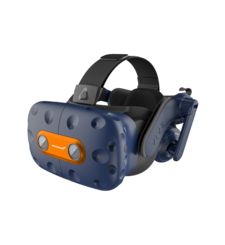 UPGRADE YOUR EXPERIENCE VIVE Deluxe Audio Strap makes your virtual reality experience even better with integrated audio, comfort padding and an easy-to-use size adjustment dial.